The red-hot news continues to pour out of the Star Racing NHRA Pro Stock Motorcycle team. In the zMax Dragway media center Star Racing owner George Bryce and former NHRA champion Angelle Sampey-Drago announced they will again be joining forces. 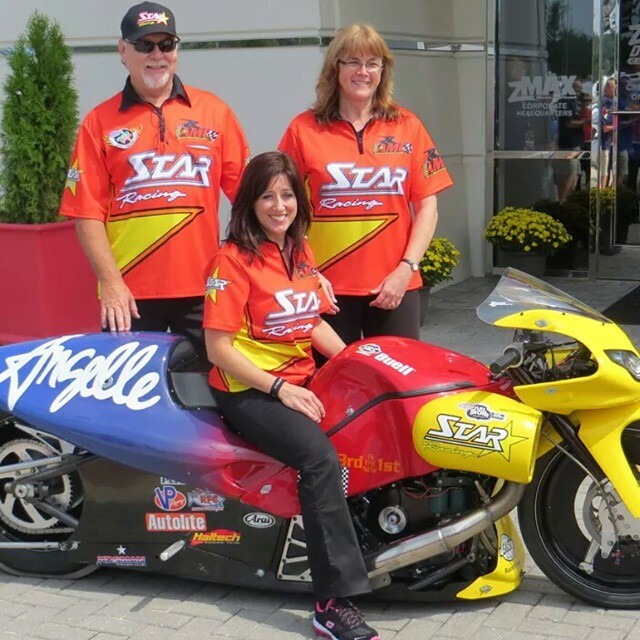 Angelle Sampey-Drago will ride a bike for Star Racing in 2015, the team’s 35th anniversary on the NHRA tour. Sampey-Drago will ride the motorcycle vacated by Michael Ray, who unexpectedly left the team prior to the Countdown. Sampey-Drago could return as early as next week at the NHRA Fall Nationals.